"Wyong" redirects here. For the local government area, see Wyong Shire. Wyong (/ˈwaɪɒŋ/) is a town of the Central Coast region of New South Wales, located approximately 63 km SSW of Newcastle and 89 km NNE of Sydney. Established in 1888, it is one of the two administrative centres for the Central Coast Council local government area. Wyong is an indigenous word meaning either 'an edible yam' or 'place of running water'. William Cape was the first European settler to settle in the area and bring cattle and sheep into the district, on a 1,000 acres (4 km2) land grant bordering Jilliby Creek in 1825. Cape had two sons who also held land grants. Alison Homestead, Cape Road, Wyong, built by Charles Alison, c. 1885; destroyed by arson 3 December 2011. Chapmans Store, Cnr Alison Road & Hely Street, Wyong, opened in 1901. Court House, Alison Road, Wyong, built in 1924. This building is built on the site of the first Post Office which opened in 1892. St Cecilia’s Church, Byron Street, Wyong. Built in 1908, it is the oldest church in Wyong and is still in use today. Strathavon, Boyce Avenue, Wyong. Dates from 1912-1913, formerly known as Hakone. Turreted buildings, Cnr Church Street, Wyong. Built by Albert Hamlyn Warner, 1915. Wyong Public School, Alison Road, Wyong. Built in 1889 and last used as school in September 1979. Wyong Milk Factory, 141 Alison Road, Wyong, c. 1921. According to the 2016 census of Population, there were 4,326 people in Wyong. Aboriginal and Torres Strait Islander people made up 6.3% of the population. 73.9% of people were born in Australia. The next most common country of birth was England at 3.6%. 82.3% of people spoke only English at home. The most common responses for religion were No Religion 27.2%, Anglican 22.3% and Catholic 22.3%. Wyong has an efficient and compact town centre, housing the Wyong Shire's Council Chambers, Village Central Wyong Shopping Centre, Hunter Institute of TAFE Wyong Campus, Wyong Police Station, Wyong Local Court House, The Art House Wyong Performing Arts and Conference Centre, and banks, government offices, local businesses and community services. Wyong Public School is located on Cutler Drive, north of the town centre. Wyong High School is west of the town centre on Alison Road. Wyong is the hub of transport services in the northern part of the Central Coast Council local government area. Wyong Railway Station is served by regional and intercity NSW TrainLink services on the Central Coast & Newcastle, Main North, and North Coast lines. The Pacific Highway is the main street in the town. To the west is the Pacific Motorway (previously known as F3) providing road access to Newcastle and Sydney. Wyong Racecourse is an important provincial track with weekly meetings. The town has extensive sport and leisure facilities. Wyong Hospital is not located in the town, rather it is located 8.6km North-East in Kanwal. 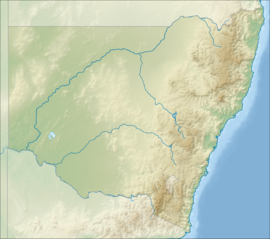 Tuggerah Lake for a map of locations near Wyong. ^ a b Australian Bureau of Statistics (27 June 2017). "Wyong (State Suburb)". 2016 Census QuickStats. Retrieved 12 June 2018. This page was last edited on 27 March 2019, at 02:55 (UTC).